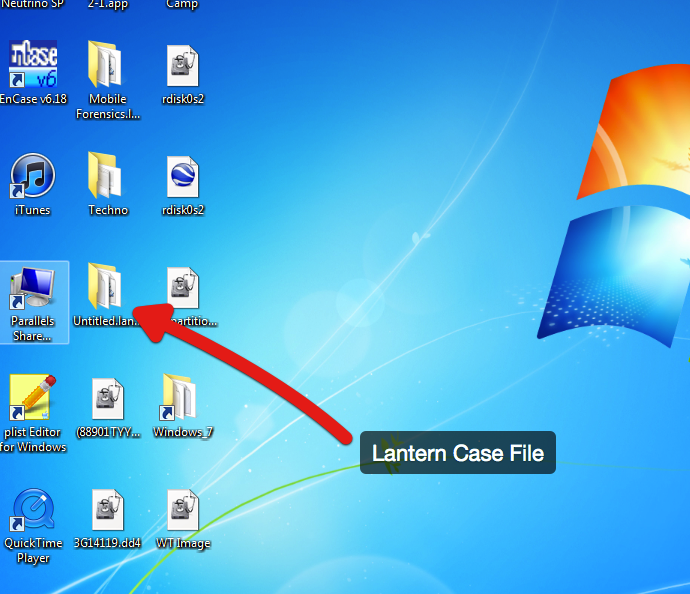 My good friend Shafik Punja asked “Remember how you showed me to take a Lantern case file and bring it into Encase?” I responded that I did remember showing him how to do it. Shafik he asked me to place this blog so that others can benefit from this as well. So here it is using a case folder using the new Lantern 2. This will also work using FTK. Unfortunately I do not have FTK running in my VM, so this method can also work the same way. For this demonstration I am using Parallels. Just like it better now, but again, if you have VMware Fusion, this will work also. 1. Acquire an iDevice using Lantern. 4. Copy the Lantern case file (the icon that looks like a briefcase) and bring it into Windows. 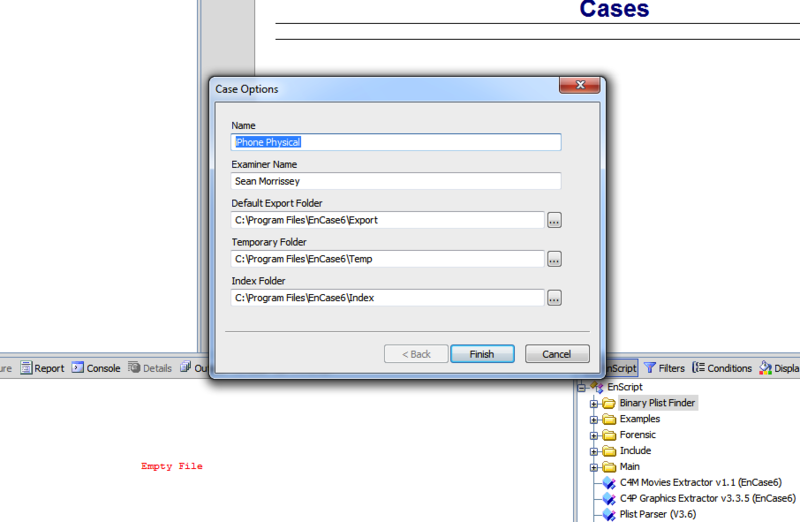 As you see in the following figure, the case file looks like a file folder. 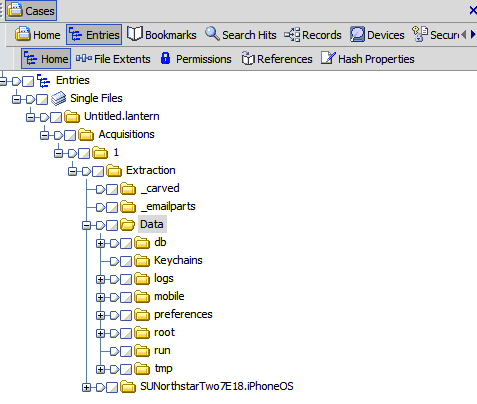 The Lantern case file in 2.0 is an Apple/Mac package. Basically a folder. Windows 7 sees this package as a folder. 5. 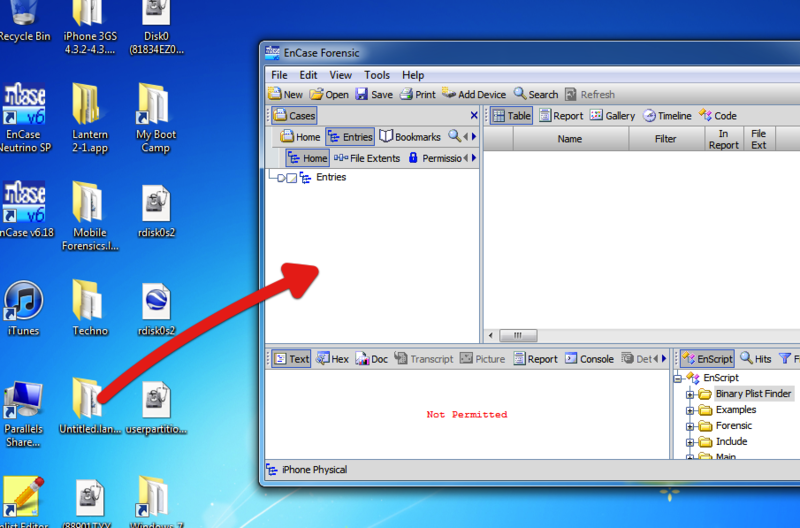 Open You windows base forensic tool, in this demonstration open Encase and create a case. 7. Then you can run whatever process you care to do at this time. It is just that simple! Just finished writing an article on Imaging the MacBook Air for Digital Forensics Magazine!! Hope it helps those that were pondering this issue.